From meat consumption to automobile production to hydropower, Vital Signs, Volume 20 documents over two dozen trends that are shaping our future in concise analyses and clear tables and graphs. The twentieth volume of the Worldwatch Institute series demonstrates that while remarkable progress has been made over the past year, much remains to be done to get the planet on a more sustainable track. Worldwide, people are waking up to the realities of a resource-constrained planet: investments and subsidies for renewable energy have reached new heights, consumers are slowly shifting away from meat-heavy diets, and new employment structures like co-operatives are democratizing the global economy. Yet with over 1 billion people lacking access to electricity, natural disasters that are more costly than ever before, and an adherence to the factory farm model of food production, it is clear that many obstacles loom on the horizon. 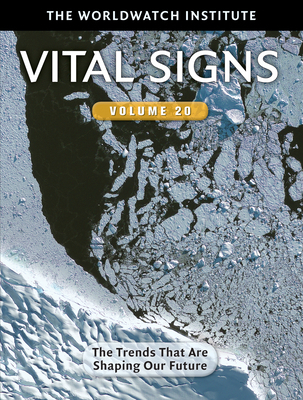 Covering a wide range of environmental, economic, and social themes, Vital Signs, Volume 20 is the go-to source for straightforward data and analyses on the latest issues facing an increasingly crowded planet. By placing each trend within a global framework, Vital Signs, Volume 20 identifies the solutions we need to transition toward a more sustainable world. Founded in 1974 by farmer and economist Lester Brown, Worldwatch was the first independent research institute devoted to the analysis of global environmental concerns. Worldwatch quickly became recognized by opinion leaders around the world for its accessible, fact-based analysis of critical global issues. Today, Worldwatch develops innovative solutions to intractable problems, emphasizing a blend of government leadership, private sector enterprise, and citizen action that can make a sustainable future a reality. "For anyone looking for the most recent data describing global trends from the Worldwatch point of view, Vital Signs is an excellent resource. For those aiming more broadly, Vital Signs presents a stimulating jumping off point for further research."